Tuning Fork Therapy® offers a discount when purchasing three levels of Tuning Fork training together. 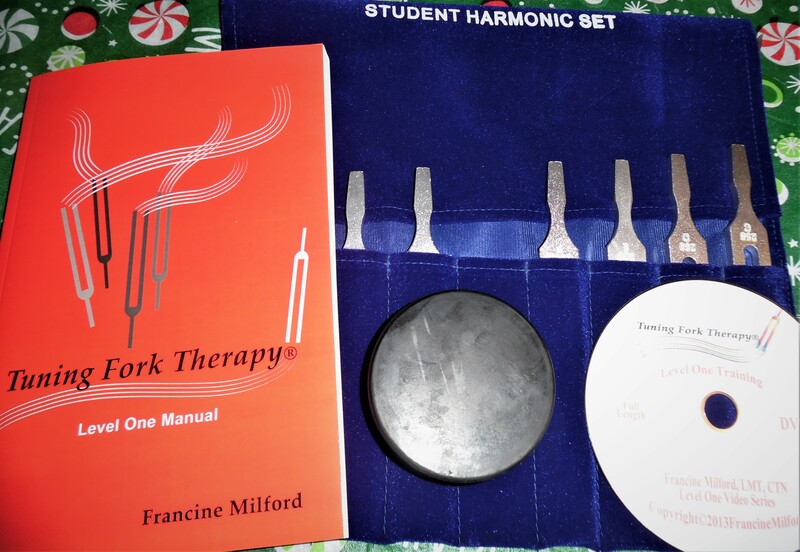 Then order the first THREE levels of Tuning Fork Therapy® Instructor training including manuals and forks at one time for this unbelievable one time price offer. Order your first THREE levels of Tuning Fork Therapy® Certifications at one time and save $$$. If sold separately the three sets would sell for $ 897.00 plus postage and handling charges. If you wish to purchase the Tuning Fork Therapy® Practitioner level one, level two and level three certifications which include the complete set of forks, books and manuals at one time, the cost to you is only $ 699.00 plus $20 postage and handling (United States delivery ONLY). Extra charges apply for out-of-country delivery. Call for current postage to your country BEFORE sending in payment. NOTE: You can work at your own pace through these courses and send in your tests and assignments when completed one at a time, or all together. Assignments and tests can also be emailed if preferred. All certificates, etc., will be mailed to you upon successful completion of assignments and tests.